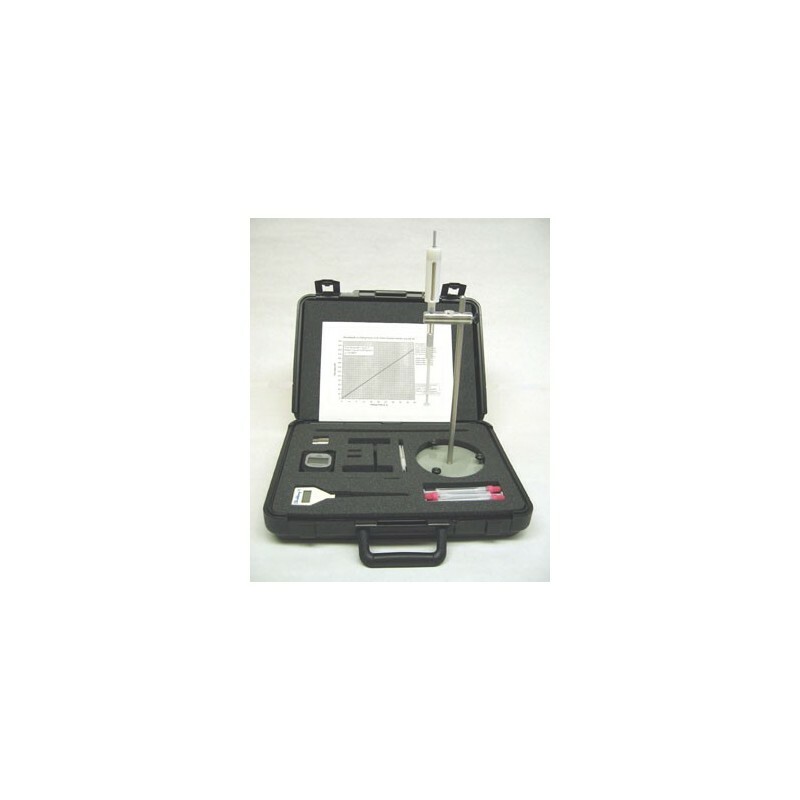 The PORTABLE AND DISPOSABLE VISCOMETER is a simple to use, highly affordable, and accurate viscosity measuring device. This instrument consists of a support stand, calibrated weight, controlled needle and guide, and a disposable sample tube. Viscosity of the sample is determined by measuring the falling time of the needle through a predetermined distance of the sample. The falling time is measured automatically (N002-017) or manually by a stopwatch (N002-016). 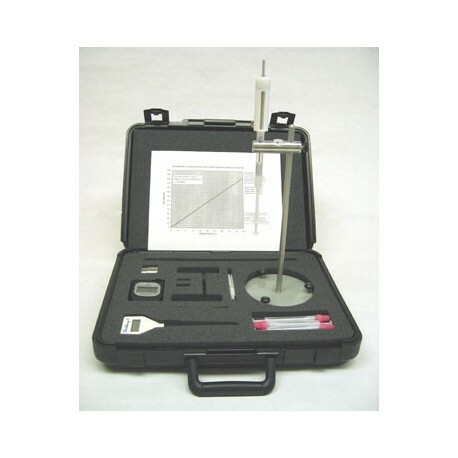 For Newtonian fluid, a table or graph will be supplied with the instrument. For non-Newtonian fluid, data reduction computer software is available.